A trailer and synopsis has been released for the VR adventure Doctor Who: The Runaway, giving fans a first-look of the immersive adventure. You’ve been in a collision. You wake inside the TARDIS. The Doctor introduces you to the person, or thing, you collided with. He’s a strange and magnificent ball of living energy called Volta. Part surly teenager, part bomb, Volta is very unstable. In fact, he’s primed to explode. Big time. Unless he can be returned to his home planet, sharpish. The problem is, a squad of galactic busybodies has other plans for Volta. Bad ones. Drawn into a frantic chase, you become The Doctor’s unlikely assistant as she races against time to get Volta home to his parents. 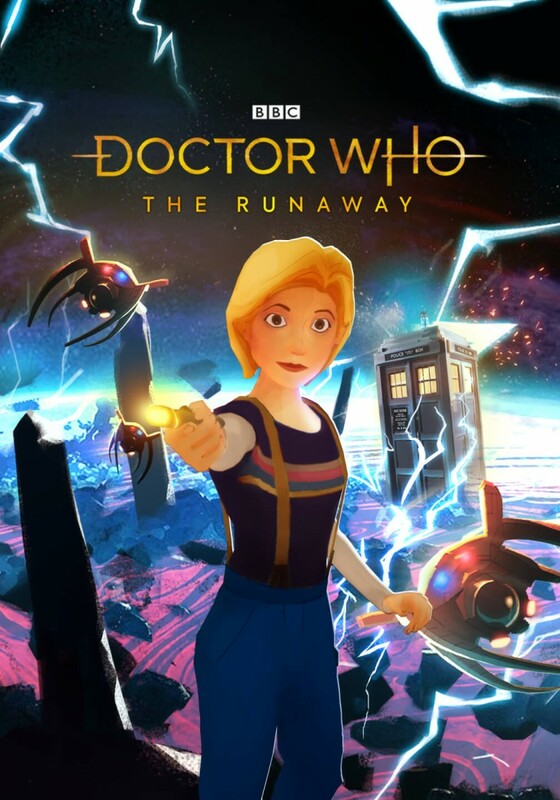 Armed with a sonic screwdriver, it is down to you to help The Doctor as she faces the forces of evil, and teenage angst, in this animated 13-minute VR adventure from the team behind Doctor Who Series 11.